Change is the nature of a creative business. Just when you think you have something figured out - whether it’s blogging, your service package, or your marketing strategy - it changes on you and you’re forced to adapt and reevaluate. You can either fight it and get frustrated or look at it as an exciting challenge. And if I’m honest, I do a little bit of both. That’s what happened with the Elle & Company website. I made some updates last summer, but as my business has grown and changed my goals for the site have changed. I needed to find a way to make it easier to navigate. I wanted to include content upgrades and opt-ins to grow my mailing list. And instead of doing a facelift and making things look better for a season, I knew an overhaul was in order for the long-term. Maybe you’re in the same boat. Or maybe you’re just curious about the changes to our site and the reasoning behind them. Either way, this post is for you! Here’s a look at what’s changed and why. First, I took the leap and changed Squarespace templates. 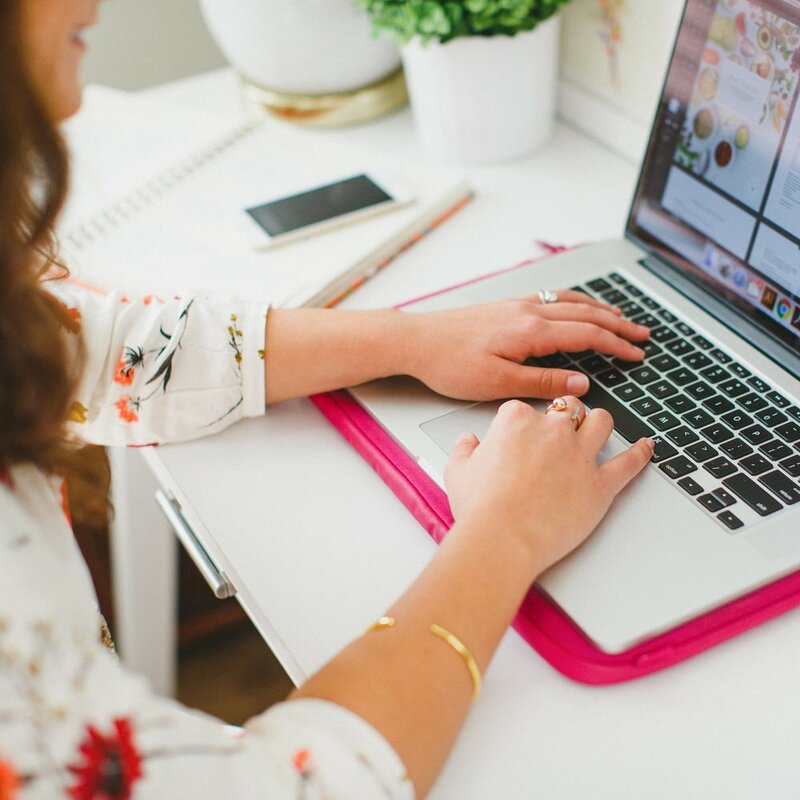 When I first launched the Elle & Company site 2 years ago, I needed a template that worked well for ecommerce and blogging. And after looking at all the options, I was sold on the simplicity of the Galapagos template. It got the job done, but the main navigation and centered logo took up a lot of real estate on each page and was often the first thing people would see when landing on the site. My logo doesn’t need to be the first thing people see when they land on my page; I would rather have visitors look at the header of each page and the graphics without having to scroll. The Hayden template allowed me to downsize the logo, place it in the top left corner, and create more space for headers and images above the fold. It also allowed me to have a pre-footer for social proof, centered bottom navigation, and a sidebar. So I decided to make the switch.... But not without some hesitation. Switching templates - especially if you have a lot of content on your site through pages and blog posts - can be a little scary. While you don’t lose any content when you switch templates, you do lose the design customizations you’ve made to your previous template. So before I made the leap, I set up a trial site with the new template in Squarespace and designed each page before implementing it on my current site. This made the switch so much easier because all of the content and design changes (fonts, colors, and sizes) was ready to go; I just had to look at the trial site after I made the leap switched templates. And I have to say - switching my Squarespace template was so much easier than I had anticipated! I also reworked my site navigation. While you can’t force people to take certain actions on your website, the items you include in your main navigation influence their decisions and the pages they visit first. Those items were fairly simple and straightforward, but they weren’t effective for guiding new visitors toward the most important pages of the site. Not only are those the pages I want new visitors to take notice of when they first land on my site; they’re the pages I want visitors to access the most. Because the more those pages are landed on, the higher they’ll rank in search engines. “Concise navigation is also important for SEO. Since there are inevitably more links to your home page than your interior pages, it has the most “authority” with search engines. SEOs call this authority “link juice” and like a liquid, it flows from the home page to deeper pages through the navigation. Those are the pages that aren’t quite as important but still need to be accessible. Those who have been on the site before and are more familiar with Elle & Company will be more interested in those items and know where to find them. I geared my homepage toward opt-ins. One very important thing was missing from the old Elle & Company site: email opt-ins. There was a signup form in the blog sidebar and another on the Newsletter page, but none on the homepage. I didn’t have much of an incentive for people to opt-in, either. So I decided to step up my email list game this go round and be more intentional about my opt-ins. And instead of including just 1 opt-in, I took the “go big or go home” approach and included 4. In just a few short days since making the change, we’ve already seen hundreds of people subscribe to our list. A seemingly small change has made all the difference! And I added icons… Lots and lots of icons. In all honesty, the new icons on the site are one of my very favorite aspects of the redesign. The new icons are also a distinct brand element to help people differentiate Elle & Company from others in my industry. They’re the most “me” out of anything else on the site and I had so much fun creating them. You guessed it! I’ll be sharing all about differentiating your site and adding distinct features that reflect your brand in my Step-By-Step Website Redesign webinar on February 27th from 12:30-3:00pm EST. Overall, I hope these new updates create a better user experience for you and make it fun for you to follow along with Elle & Company! And as always, I would love to get your feedback. What do you like most about the new site? Are you considering making updates to your own site? P.S. 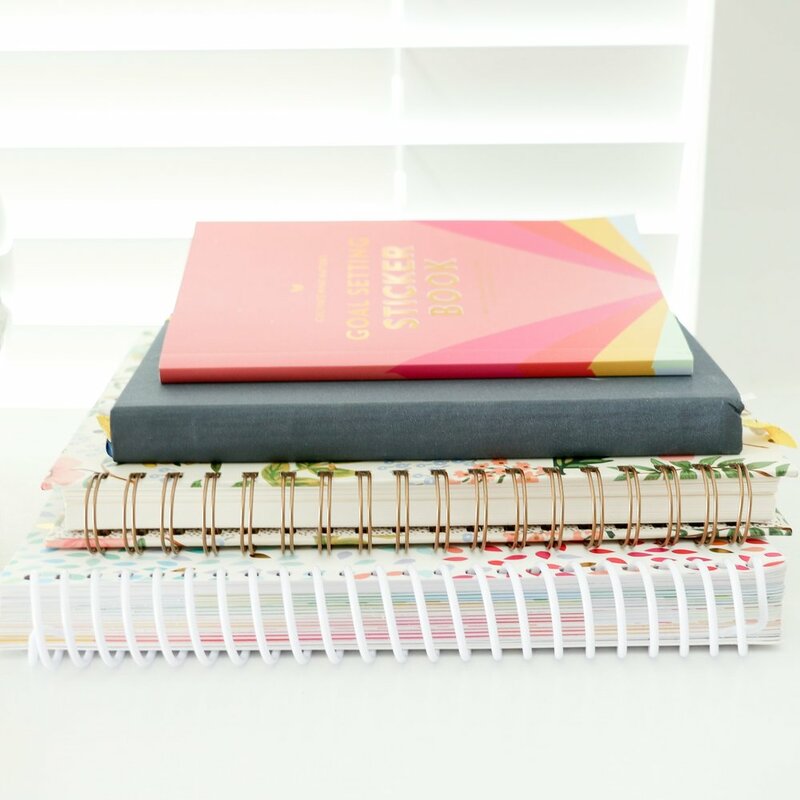 I’m jumping back into a consistent blogging routine, so be sure to check back throughout the week for new posts!